How does Idaho stack up in the nation when it comes to paying teachers? In just the past five months, three different national reports on teacher pay and subsequent media coverage have left many scratching their heads, wondering which ranking to believe. 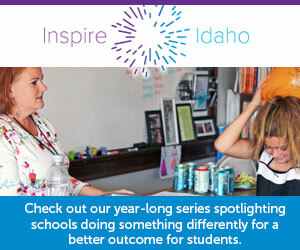 Here’s a recap of what’s been reported: In March, National Center for Education Statistics and Council for Community and Economic Research data reported by National Public Radio showed that for 2016, Idaho teacher pay ranked 39th among the states when adjusted for cost of living; Idaho’s rank lowered when cost of living wasn’t factored in. A month later, in April, National Education Association data reported by Education Week showed Idaho’s one-year increase in average teacher pay from 2016 to 2017 was the eighth highest in the nation – about 3 percent — and our overall rank was 43rd. Now this month, yet another national report is released. This one, from the Brookings Institute and based on 3-year-old data, ranks Idaho at the bottom for teacher pay. This one was reported by numerous Idaho media outlets, while the two earlier reports drew less attention in Idaho. Different reports on different years, drawing different conclusions. You can see why it is confusing. My point here is not to debate national research on Idaho’s teacher salaries. We can all agree that the state’s teachers should be paid more, whatever our numerical ranking. I’m inviting Idahoans to focus on the progress we’ve made in improving teacher pay and to join the dialogue on the path forward as we commit to continuing that improvement. I would draw your attention to what gets lost when these reports are released: what Idaho has done and is doing to improve the situation. To document Idaho’s commitment to increasing teacher pay, you don’t need to look at some national think tank analyzing data. The proof is in black and white in the state’s budgets for education in the past four years. After the recession and with a plan in place to improve education, state leaders — the governor, myself, legislators — and education advocacy groups agreed to support the Career Ladder, a five-year aggressive investment in the funding for local teacher salaries. And each year when I meet with stakeholders and ask for priorities for the public school budget request, increasing teacher pay through the Career Ladder is the No. 1 priority. I have successfully advocated for this investment each year. Can we do more for Idaho teachers’ pay? Absolutely, especially when we see other states making investments and we hear concerns about keeping our excellent teachers in Idaho. As we approach the last year of our five-year plan, we are poised for the next step. Work is under way this summer as the K-12 education funding formula committee moves from its two years of research into decisionmaking.